Most wounds can heal on their own, but sometimes sores and other wounds do not heal and professional treatment is needed. If you have an open wound or a sore that shows no sign of healing, you can get the help you need at the Wound Care and Hyperbaric Services Department at McAllen Medical Center. The department's multidisciplinary team of physicians–including internal medicine, podiatrists and cardiologists–use comprehensive wound care and individualized treatment plans that incorporate some of the most advanced wound care therapies available today. Therapeutic treatments for wounds promote healing and can help slow-healing wounds from worsening into bone infection, which can lead to limb amputation. We offer hyperbaric oxygen therapy, an advanced medical treatment that is delivered by placing patients in an enclosed chamber that is filled with 100 percent oxygen at pressures greater than air at sea level. The pure oxygen at high pressure acts similarly to a drug and causes varying levels of response at different treatment depths, durations and dosages. Hyperbaric oxygen therapy has been proven effective as adjunctive therapy for specifically indicated conditions. 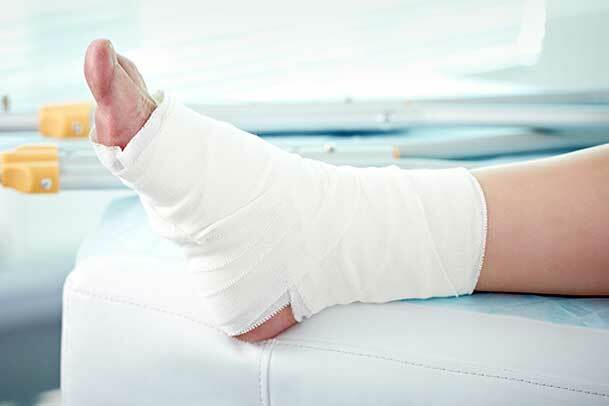 For more information about Wound Care and Hyperbaric Services, please call 956-632-4464.